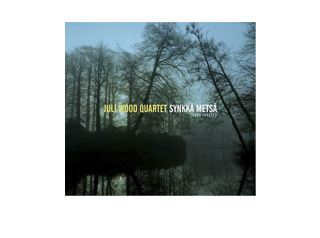 Inspired by Art Farmer’s 1964 recording of Swedish folk songs, “To Sweden With Love,” Chicago saxophonist Juli Wood delved into her own Finnish heritage for material to explore on her newest recording. With hauntingly beautiful melodies and harmonies that invite new interpretations of six traditional Karelian, Finnish and Aland Island songs along with two compositions by famed Finnish musician Matti Jurva. Based on a concept from a Benny Golson’s LP Take A Number From 1 to 10, 54321 starts with a quintet and as the songs progress, subtracts an instrument until ending with a solo sax ballad. If you like alto, tenor and bari saxes and singing, this swinging jazz CD is for you! Earma Thompson was one of the Queens of Jazz in Chicago. Her style and feeling on the piano is slowly becoming a lost art. I spent many years working and being mentored by her in Chicago and this album is a tribute to those amazing times and her incredible style and influence. Mel Rhyne, who was Wes Montgomery’s first organist was one of those great jazz Hammond B3 players that came out of Indiana. In 1997 we were performing at the Chicago Jazz Fest and the seeds of this recording were born. Mel did some of the arrangements and even provided a couple of his own tunes for this CD. This is my debut CD where I sing and play tenor and bari sax. 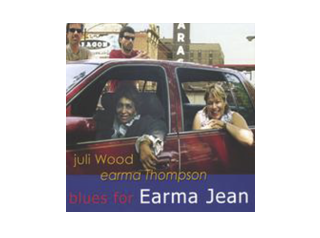 Over the past twenty years, Juli Wood has participated on countless albums and has produced three albums of her own. 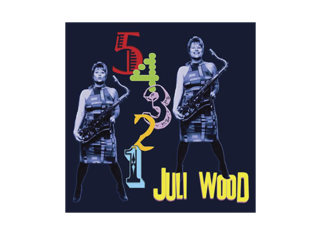 Juli has established herself as a world class saxophonist, vocalist and composer. 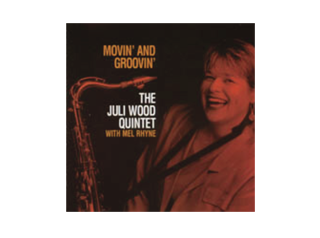 Experience for yourself, Juli’s swingin’, lyrical and entertaining performances on her CDs.